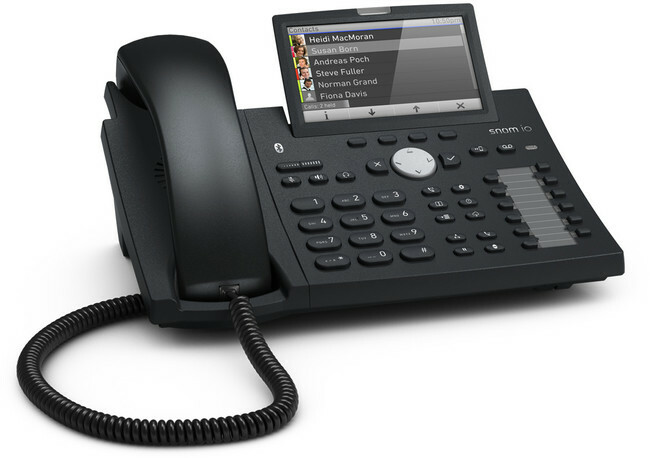 Snom's next-generation handset, the D375 supports up to 12 SIP accounts and features a large 4.3 inch high-resolution backlit colour display. The D375 has 10 dedicated function keys with 12 multi-coloured LED function keys (BLF) for visual call indication, providing users with increased visibility and efficiency. Featuring superior, crystal-clear call quality in both handset and hands-free use, the Snom D375 comes complete with 2 x Gigabit Ethernet ports for high-speed connectivity and built-in Bluetooth compatibility. 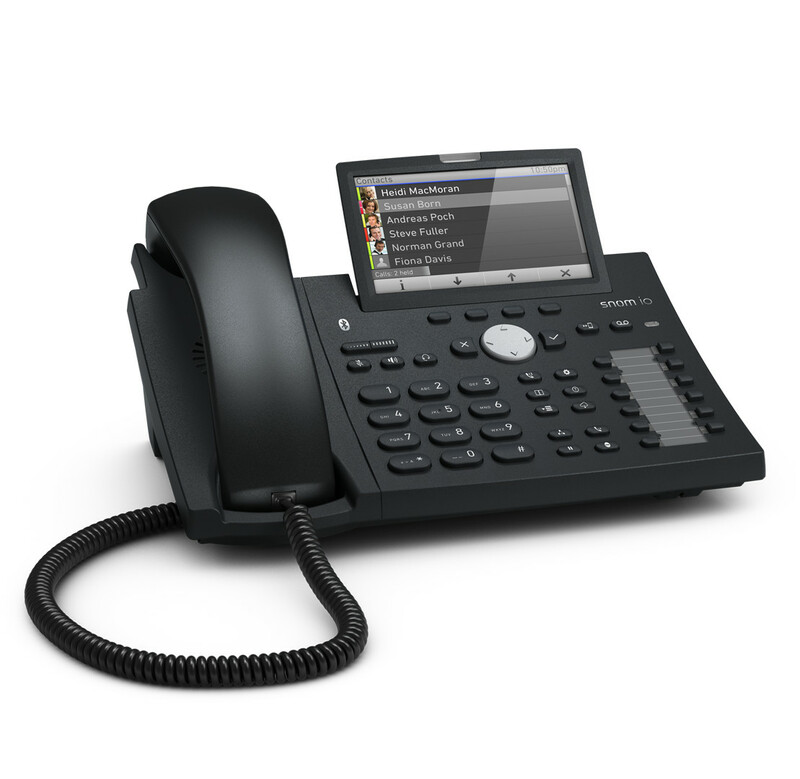 This handset is ideal for users looking for the next-generation VoIP business phone.